The Rare Siberian Mammoth Ivory Is Over 10,000 Years Old. It Is Known For Subtle Colors Of Brown, Blue Or Green. Beautiful Grains & Color Variations. NO TWO PAIR ARE THE SAME. All NC Ordnance Grips Have Been Stabilized. Sales of Siberian Mammoth Ivory Grips Are Prohibited To Residents of CA, HI, NY & NJ Only. No International Sales. 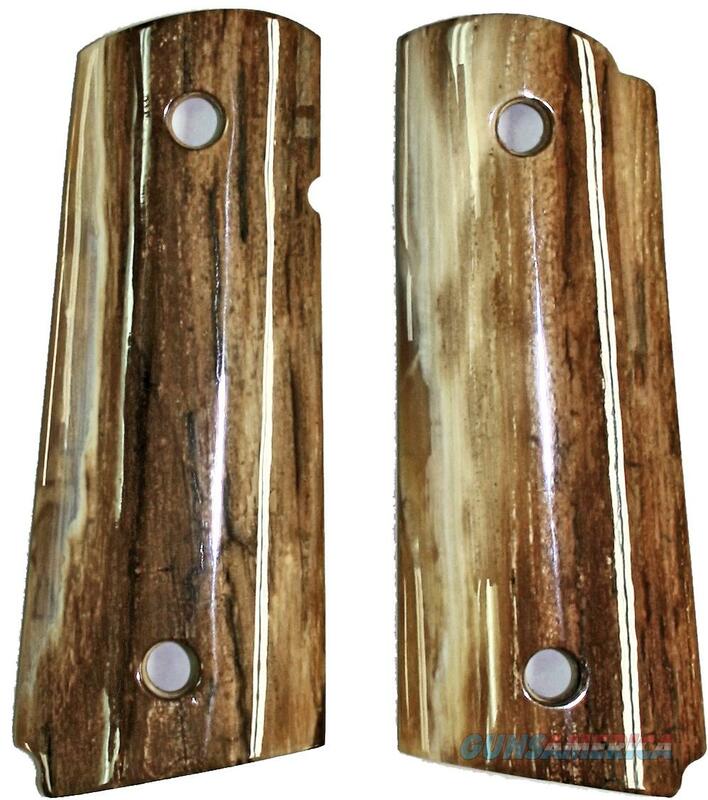 SIBERIAN MAMMOTH IVORY GRIPS ARE AVAILABLE WITH GOLD COLT MEDALLIONS INSTALLED AT NO EXTRA COST. Please Email Us If Medallions Are Desired.